The Mini Cooper, designed and made by British Motor Corporation, has been a favorite by thousands of people around the world. This brilliant vehicle has been revolutionized ever since the company released its first model, the Mark 1 Mini, up to the release of the clubman cooper in 2009. Bayerische Motoren Werke AG or BMW took ownership of the Mini automobile product in 1994. Despite the innovation, one of the signature characteristics of the mini cooper is the number of its doors. The different models of the mini cooper come with 2 doors, 3 doors, 4, doors, and 5 doors. Despite the small size of the mini cooper’s body, the creator of this beautiful piece of machine managed to maximize the inside. The length of the Mini cooper ranges from 3,054 mm to 3,299 mm, depending on its model. The width is a solid 1,390 mm and the height is 1,346 mm. Anyway, enough with the description of the car. We are here to promote the locksmith services we offer here at 7 Day Locksmith in San Diego, California. 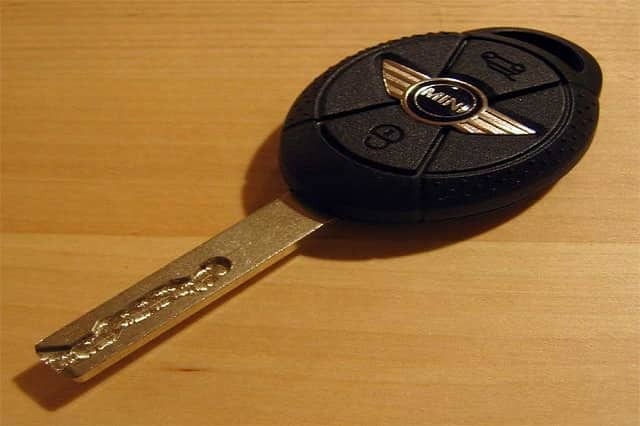 If you need mini cooper key replacement or mini cooper key fob repair services, give us a call. We offer all locksmith services for automobiles, including the unique mini cooper. This car uses the traditional key and a key fob. We provide locksmith services for both types of keys. Our business mostly attends to emergency situations like lock-outs, broken keys, malfunctioning transponders, and more. Give us a call, day or night. We will be there to help you gain access to your mini cooper once more. 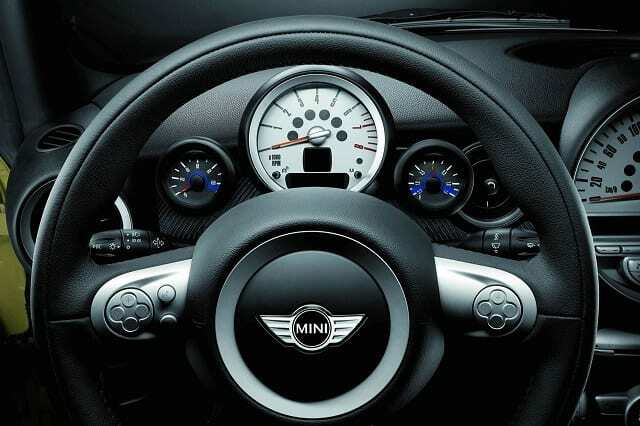 When it comes to mini cooper key replacement services, we can help you with any problem you have. Your key is stuck in the car door key hole, we can get it out. Your door locks you out of the car and your key isn’t working, we have the key pins to open your door. Your key doesn’t work on your transponder ignition, we can cut or carve it for the perfect fit. Our services have been fool-proof. We are able to provide our services without causing any external or internal damage to your car. Our staff comprises well-trained technicians and locksmiths who can work with all types of vehicles. We know the inside mechanism and structure of a cooper. Its body is mostly made out of high-strength steel and its doors are made of aluminum. 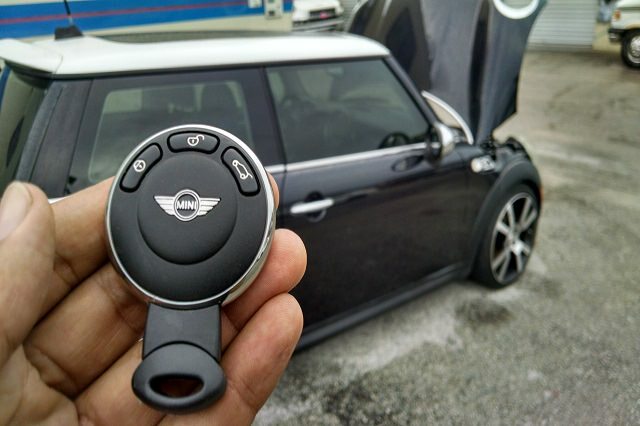 The mini cooper key is just like most car keys; however, they are designed to have their own key ignition structure—a design that is made for mini coopers only. We are familiar with the key type formation of a mini cooper, whether it is a traditional key or a transponder. Our laser key cutting machine is capable of detailed and precise key cutting that can’t be duplicated by amateur locksmiths. The brilliant thing about the mini cooper key is that it is properly made and can tolerate dents and damages. The Locksmith San Diego staff knows the structure and mechanism of a mini cooper key fob. We can troubleshoot the key fob and have it working again as if it is new. The fascinating thing about the mini cooper key fob is its energy supply. A brand new battery can last almost a year even if the owner uses it every day. However, you can’t just input any brand or type of batteries in a mini key fob. It is best for you to ask for professional assistance with regards to the proper insertion of the battery and the right brand to use. Another advancement in the locksmith industry is the introduction of 3D printers. These printers are capable of printing objects out of plastic. This can be considered both a good and a bad thing. The bad side is that there are people who can duplicate the key you use so that they can gain control of your car. On the bright side, car-owners can design their own key with its own measurement and dimension. We can arrange your keyhole mechanism for that custom made key, which you want. We also create keyless remotes so that your key and your transponder can be separated. If you lose your car keys, you can still open and lock your car. Conversely, if you lose your transponder, you can still open and drive your car. Our array of locksmith services starts from the simple unlocking of jammed doors to the carving of specially made keys for your mini cooper. We are able to work with all models of the Mini automobile product. If you lose or damage your key, we are here to come to your rescue. Our services are also extensive because we offer the installation of added security features to your car. This way, you can be 100% confident that no one except you have control over your car. The transponder key remotes we repair can also be upgraded in term of the range connection. Transponder key programming is also our specialty. We have the technologies for transponder key services such as auto key programmers and pad tablet key programmers. We can also repair all internal parts of a transponder key, including its chip, so that the electronic message it transmits to the key is always working. Whether it’s a smart key, a traditional key, or a transponder key, we can work with it. You can be our regular customer, and we will be at your aide every time you need us. If you are stuck in a gas station because you forgot your keys inside your car, we can unlock it for you. Our response team is reliable and always capable of attending to all kinds of emergency situations. You can reach our telephone line or mobile number 24/7. Don’t be a stranger because we want the best security for your awesome mini cooper. Hope to see you soon.